PMA is pleased to highlight Jeff Aznavorian, president, Clips & Clamps Industries, Plymouth, MI. Clips & Clamps Industries supplies reliable metal stampings, s-clips, brackets, washers, wire forms, welded product and assemblies to OEM and Tier 1 customers. 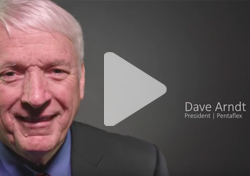 Read Jeff's thoughts about game-changing metalforming technology, what is on his wish list for his shop, and more! 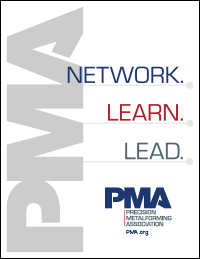 A: Networking is by far the biggest benefit of PMA membership and participation. It’s a two-way street, however. Mike Aznavorian, my father, instilled in me the “Synergy of Sharing” from my first day on the job. A: We plan to increase our growth rate through a more diversified sales strategy. A: In the near future, I believe that collaborative robotics will ensure the competitiveness of U.S. metalforming companies on the global stage while maintaining an advanced workplace that will attract a highly skilled workforce. Metal-additive manufacturing will be an area to watch and evaluate as we move closer to the third decade of the new millennium. A: My ideal conference would be 100% roundtable/networking. Different topics such as organizational strategy, safety, benchmarking and advocacy all would be included in the discussion. I learn best by discussing topics with others, instead of trying to digest presentations. A: Worrying or obsessing about what you need to do tomorrow will limit your accomplishments. Plan for the future but focus your energy on what you can accomplish today.